UK independent shops are in decline – this year more stores closed than opened for the first time since 2012. This is according to new research from the Local Data Company (LDC) and the British Independent Retailers Association (BIRA), which have reported that 7,915 indies opened and 8,059 closed. Chain retailers have also remained in decline, with a net loss of 437 shops in the first half of 2015 compared to 203 shops for the same period in 2014. Despite this decline, one particular type of tech store is doing well. Mobile phone shops have been a key growth sector compared to last year. 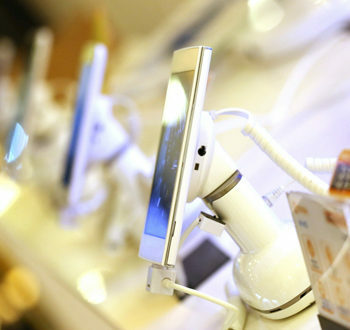 There were 86 new mobile phone stores that opened in the UK in the first half of 2015. In fact, phone shops came second in the top ten businesses opening up in H1. “The first half of 2015 has shown how fluid and challenging the retail environment is, be you an independent or a chain retailer,” said Matthew Hopkinson, director at the Local Data Company. Hopkinson warned that retailers must have an on and offline customer experience and not just rely on passing trade if they want to survive. “The next two years will potentially see significant changes, which may be a threat or opportunity for our shops, be it interest rates, wage inflation, rising rents, changes to business rates, online players taking physical space or most importantly a more informed and demanding consumer, with more technology in their pocket than you could ever imagined two years ago," he said. This report ties in with the BRC’s stats yesterday that revealed footfall on High Streets and in shopping centres declined by 1.3 per cent in September. It’s not all doom and gloom though as this was actually an improvement on the 1.6 per cent fall in August. And the report also revealed that retail parks saw a four per cent increase in footfall, providing even more hope for retailers. Earlier this month, GfK’s supply chain director Car West decalred that the worst is over for PC stores. Speaking at Northamber’s recent Expo 15, West stated: "Computer specialists have shrunk but it’s stabilised. That rate of decline in the number of computer specialists has slowed down. "Whatever they’ve done to their business – if they’ve bunkered down or sold through the recession – they’ve survived the worst of it." In other retail news, research from Box Technologies and Intel revealed that 86 per cent of shoppers avoid stores with long queues and more than a third have given up trying to make a purchase because of queues – a stark warning for retailers preparing for the run-up to Christmas. The survey revealed that nine minutes is the average time a UK consumer is prepared to wait before giving up and leaving a queue. 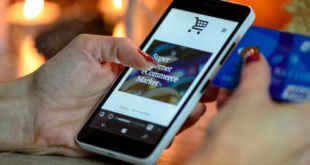 “As they get ready for Black Friday and the festive frenzy, retailers must be smarter and slicker, enabling staff to eradicate queues by arming them with versatile mobile technologies that can take payments or enhance customer service by offering product or stock information anywhere on the shop floor,” advised Raj Parmar, marketing director at Box Technologies.